If you’re looking for a cure for insomnia, then perusing Canada’s Copyright Act might just be what the doctor ordered. The Act weighs in at a hefty 176 pages of dense legal text that is sure to induce somnolent yearnings in even the most caffeinated reader. On the other hand, if you’re an educator or student who cares about ensuring a balanced approach to copyright, then the Canadian legislation could be a real page turner. In every country, copyright law plays a significant role in education, regulating the creation, use, and ownership of literary and artistic works. Because of this, Canada’s education community worked for decades to ensure that copyright rules better serve the public good by allowing students, teachers, and researchers to use and share works. Prior to this, copyright policy in Canada was the near-exclusive purview of large corporate rights-holders who used their influence to ensure that copyright law maximized their profits by essentially locking-down content they owned. Under this restrictive regime, one of the few perks that teachers could enjoy was at best the right to manually reproduce a work onto a dry-erase chalkboard. Pushing back against these unreasonable constraints, Canada’s education community actively organized to demand changes when in 2000 the government of the day announced it would be reviewing the Copyright Act. This advocacy paid off, first with a series of important legal victories and then more than a decade later, in 2012, with the passage of the education-friendly Copyright Modernization Act. One important change in the Act was the expansion of “fair dealing” to include the purpose of education, in addition to research, private study, parody, and satire. Fair dealing is a vitally important right for the education community. It allows teachers and students, within certain limits, to copy portions of literary and artistic works without permission from, or payment to, the owner of the work. For instance, fair dealing allows a teacher to photocopy a news article for a class without getting permission from the publisher. It permits a student or a researcher to copy an article from a journal or a portion of a book. While fair dealing has been of assistance to Canada’s education sector, and the general public, not everyone is happy. As Canada’s Parliament is gearing up to review the 2012 Act, the collective licensing agency “Access Copyright” has led a campaign against fair dealing, falsely blaming it for all the financial woes plaguing the publishing industry, and incorrectly claiming that the education sector refuses to pay for content. While the expansion of fair dealing in Canada does correlate with a decline in Access Copyright’s revenue stream, there is no causal relationship. We know this because in the absence of changes to fair dealing or fair use provisions in other jurisdictions, publisher groups around the world are still facing the same financial challenges as Access Copyright. In fact, Canadian schools, colleges, and universities continue to pay hundreds of millions of scarce dollars every year to publishers and authors for access to works. Students spend additional millions each year on books and other material. While Access Copyright’s business model is failing, some individual academic publishers continue to thrive and rake in vast profits. · Educational institutions have banded together to purchase licenses directly from individual publishers, cutting Access Copyright’s take while still spending millions on content. · In response to inflated prices for private academic journals, the academic community invented and implemented Open Access publishing, which makes publicly-funded research available free (with no cut to Access Copyright). In Canada, almost half of all research publications are now freely available online. · With students no longer willing to subsidize the inflated profits of textbook publishing corporations, the education sector invented Open Education Resources (OER) that have enabled, by the author’s choice, free access to OER textbooks and other learning material. This is saving Canadian students and their parents millions of dollars a year, but it does limit the flow of money to Access Copyright – and has nothing to do with fair dealing. In short, the publishing industry is facing profound structural changes as a result of the rise of alternative ways of creating, licensing, and sharing works, not from fair dealing. Educators in Canada fully recognize the need to address the chronic and long-standing impoverishment of authors and other creators by their corporate employers. We reject, however, a return to a system that in effect launders cultural subsidies through the education system while paying pennies on the dollar to actual creators. Don’t be fooled by what you may have heard about Canada’s copyright regime. There is nothing to fear. Fair dealing is operating as it should -- as a limited right to allow students, teachers, and researchers to access and build upon existing literary and artistic works. 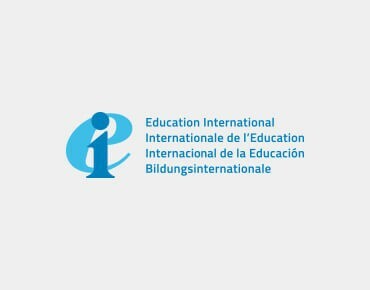 David Robinson is Education International’s special consultant on higher education. He has been close to the development of the OECD’s Assessment of Higher Education Learning Outcomes (AHELO); the OECD’s attempt to pilot a global evaluation of the quality of the world’s universities. It is an attempt which looks increasingly in question; a situation predicted by David ever since AHELO was first proposed. Nevertheless it is worth analysing why the burgeoning obsession with ranking Universities is so flawed as David makes crystal clear. Alongside Mike Jennings’ article it is a powerful and persuasive call for OECD and any media involved in such rankings to think again.